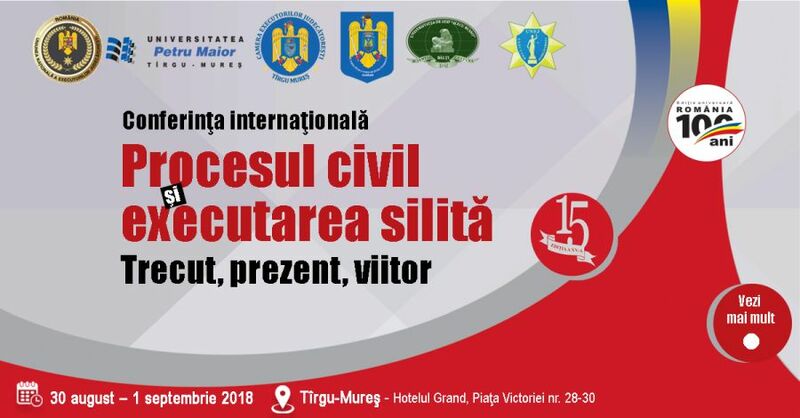 CONFERINŢA INTERNAŢIONALĂ: PROCESUL CIVIL ȘI EXECUTAREA SILITĂ. TRECUT, PREZENT, VIITOR. THE INTERNATIONAL CONFERENCE: CIVIL LAWSUIT AND LEGAL ENFORCEMENT. PAST, PRESENT, FUTURE.